Looking for the easiest and fastest method to turn off or disable the notification on your android smartphone or tablet? Few days back one of our reader Richard asked us a question is there any way to turn off the apps notification in android device. In android device most of the you will received notification from most of the apps like twitter, Facebook, instant messenger etc. All these notification are always helpful and one of the best way to know which new message or email you received on your social media account or on your inbox. But sometime all these notification are disturbing and most of the user want to disable them on their device. 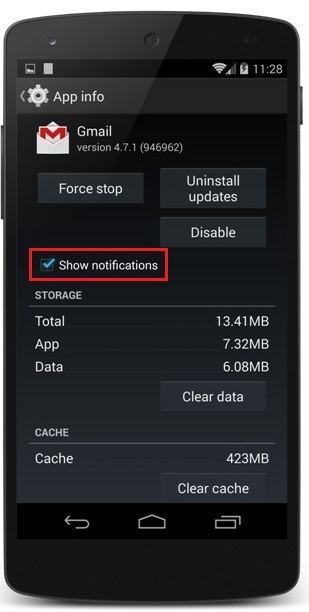 Here is the short and easiest tutorial to Turn-off any Android app’s notifications. The trick is simple and you don’t need any third-party application or any other tool to complete the process on your device. With the help of this guide you can turn of the notification of any application on your device like Facebook, Whatsapp, Emails, Twitter or any other application. And in future if you want to turn them back on, you can also turn them back on selectively. Now in the app section you will see all the downloaded application list on your android. form here tap on the application for which you want to disable the notification. In this guide we will use the Gmail app. You can do the same for nay application on your device. Click on the app icon to proceed. 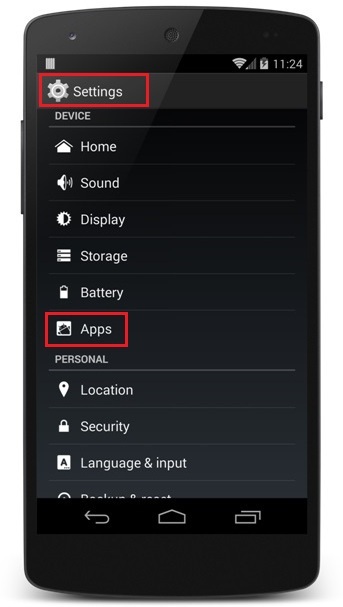 On the application screen you will see some option like “Force Stop”, “Uninstall” etc. From here you have to uncheck the “Show Notification” option. See the image below for example. Once you done this you will not receive any notification from the particular app. To enable the notification again Check the “Show Notification” option and you are done.